Since there’s a little bit of mist, concerning the formation of Braver Since Then, could you give us details on this matter? For some reason, I always knew that I wanted to form “Braver Since Then”, even when I was in Tyrant’s Reign (which later became “Quiet Room”) or my nine years in Leviathan. 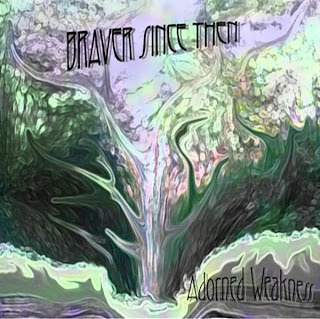 “Braver Since Then” always stuck with me as a great name. It was taken from a line in Cyrano DeBergerac. Growing up I always remember watching the Steve Martin remake of that story, called Roxanne. This movie really stuck with me and formed my romantic outlook on life. There is so much meaning behind the name “Braver Since Then”, If you know what leads up to that line in the movie you would see where I am coming from. So to me, “Braver Since Then” is not just words. It tells a whole story about wanting something so much and doing everything you can to be recognized and always falling short of the prize, be it love, victory, or any reward because of how things look on the surface. It is a metaphor for how most people in the world are only interested in nicely packaged, easy to swallow entertainment or art while something truly meaningful is right there hidden under layers hoping to be discovered. Like I have said before, It was always my intention to make a band out of the members of Leviathan once we broke up. I have worked with Derek Blake, the vocalist/bassist since high school. 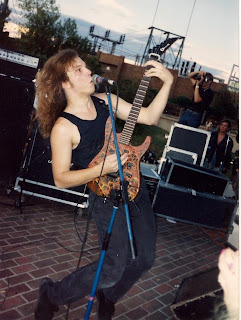 He was at one point going to be the singer in Leviathan also but that is a different story. The initial reaction from a Leviathan fan after the first approach to BST’s works might be surprising. If I ask you to spot the differences between the 2 bands, which ones would they be? I don’t know. I am a bad judge of music. To me all music either falls into one of two categories. Good music and bad music. To me all of my music is the same style. I am always wrong about the genre or styles. To me I never thought Leviathan was that heavy, but when I would play some for older people they would think it was death metal or something. So to me the only difference between BST and Leviathan are the vocals. 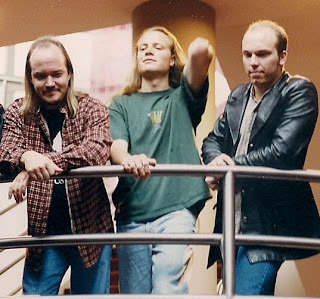 Leviathan traditionally had higher metal sounding vocals and Derek’s voice is more alternative sounding. Which I always wanted for Leviathan. I didn’t want to have typical metal sound. The songs themselves are the same. Which are the main lyrical issues that Braver Since Then deal with? Most of the writing comes from what would be my diary. When I have things in my head I sit down and write. Later when I need to start putting together songs I work through the words and structure what would be a good amount to convey the emotion I was feeling at the time. That might be another difference between my old stuff and BST. I know how to better edit my thoughts and words. I can condense them down so that there isn’t ten pages of lyrics trying to be stuffed into a 5 minute song. That is a complaint I heard about my Leviathan songs. They were always a little long winded. Now days though I try to test my self as a writer. I need topics, I am not as narcissistic or self absorbed as I used be. I don’t write about my emotions that much anymore. I always was afraid of creatively drying up as a writer. To me the lyrics were always the most important thing. I would put music to lyrics. Most people I know do it the other way around. They write the music then try to throw some words over the top and just hope there is some cohesiveness. As I am older now, I am grateful that I can still write. To me the sign of a good writer has always been if you can be given a topic and write intelligently, passionately and still tell the story with poetry you might be worth something. Your previous CD’s had no or restricted distribution! Haven’t you tried to solve this problem? You know that has always been the problem for my music. Leviathan tried so hard to find a good label or distribution. We worked harder than any band in Colorado to be professional. We never got what I feel we deserved. As far as BST goes. I have sent CD’s to every label I could find. The only place that was willing to take a chance was “just for kicks” distribution. They bought a bunch of CDs from me without having heard them. I think they are disappointed though, because they aren’t interested in our new album. So for me, I just wanted to get the music out there and make it available. 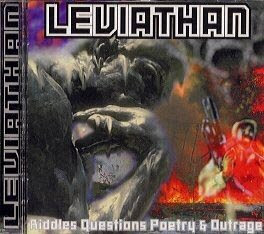 In my mind I still think if people liked my writing from Leviathan’s CD’s they will like what we are doing now. We are 3/5’s of Leviathan after all. My songs on the last two Leviathan albums were really only BST anyway. Ron Skeen never played on the recordings when we did the albums. So once again the only difference between BST now and Leviathan ten years ago is Derek on vocals instead of Jeff Ward. For now? We are working on that. Why did you choose “Short On Patience, Burn In Haste” as the title of your current album? I am glad you asked that question. Patience has always been my biggest weakness. Every bad thing that has happened in my life has come from lack of patience. However the reason for using this title has a more personal significance now. I had already planned to use this title but in the middle of recording the album, I was called away because of health problems with my mother. She ended up passing away one day when I was in session. This definitely put a shadow over everything. I felt guilty that I had not been there for her, all because I was in a hurry to get the album done. Projects haunt me once I start them. I don’t sleep when something is pressuring me. I feel I have to complete things before I can rest. You chose Itunes to release your new album, but also your previous efforts as well? Why? This goes back to the other question. It is only for lack of anything better. To tell you the truth I think if Leviathan was just hitting our peak right now we would have sold twice as many albums because of the easy access to music online. We wouldn’t have needed a label. We had a good following world wide back then based on our reputation and constant good reviews of the albums we did on our own. Prospective music fans could have listened to our music online and then made the purchase instantly. They wouldn’t have to deal with going to a shop to only be told they have to order it. So as long as your fans know you have music available, they can reach it. Do you play live often? Is there any vivid support from your hometown? BST plays about once a month. That is enough for me. Our biggest disappointment is that we never got to tour Europe and Japan. The local scene in Denver isn’t that good. There aren’t any bands like us right now. Clubs don’t care about us. Even though they all say they liked Leviathan and respected what we did, we still don’t get any favoritism. 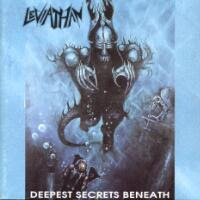 Leviathan was a prosperous band and highly appreciated by numerous Power / Progressive Metal fans from around the globe. Describe to me how you joined the band and also some of your most memorable moments. Prosperous? What do you mean by that. We never made any money. Our only reward was the feeling of being in a great band and knowing that a few people liked our music in Europe and Japan. We know that we sold over 20,000 copies world wide but still never made any money, in fact lost money almost every album. The labels made money but we didn’t. The only project that any of us did that was profitable was Ron’s side project, “Iron Fortress”. Ron got that project paid for and received a few thousand dollars afterwards. As far as how I came into Leviathan, Ron Skeen asked me to join in 1990. Leviathan was a great local band. Everyone I knew all said the same thing. The drums, bass and vocals were great but the Guitars were the weakest link. Ron wanted to change that. He still is one of the most underrated guitarists out there. Before I joined Ron and the other guitarist had such bad tone that you couldn’t hear what they were doing and they would stand in front of their amps and not move. That made it hard for people to be interested in what they were doing. Ron wanted to get a guitarist that was more like the shredders on the scene like, Yngwie, Marty Friedman, Tony Macalpine, Jason Becker etc. So I joined as a hired gun so to speak. When did you finally realize that Leviathan came to an end? It ended badly. Just like a cliché, it ended over money. We were probably going to separate after “Scoring the Chapters” anyway. At that point I was doing almost all of the music and Ron was handling the business side of things. He had a growing family and was removing himself from the band. He owned the rights to the name “Leviathan” so the other members and I were going to keep going under BST. That was the plan I had anyway. It didn’t work out because of how badly Leviathan broke up. We broke free from Century Media because they were in breach of contract with us. They promised us many things and never delivered. We started working through the idea of releasing “Scoring the Chapters” on our own. All of the numbers showed us we could release it ourselves and make a profit. We set out to record the album our way, the way we always wanted to. The entire process up until the point where the band separated was a dream coming true. We were all friends and enjoyed being together. We were making what was to us our best music. I got to spend almost a full month at Morrisound studios. I got to do what every guitarist dreams of, it was like a kid in the candy store. What ever guitar or amp I wanted to use I got to go and borrow to record every part. Anything I wanted to try I got to. We finally had a great singer and got to fully utilize our vocal assets with Derek and I doing harmonies. Before we started the project we had everything set to show that if we sold 3000 copies we would be able to pay for the entire project and make money. We lined up distribution before we recorded the first note. Every thing went bad once the album was done due to Century Media playing hard ball with us and Black listing us to the Distributers. They weren’t allowed to buy from us or it would affect their ability to receive product from Century Media. That caused tension among Ron and I due to issues over money. It tore the band apart. BST was supposed to continue but I was so beat down by the music industry I quit playing. So did Trevor and Ron. Jeff and Derek kept playing in other bands.So to date we have only sold about 1500 copies of STC which is sad because we sold over 3000 copies of our first CD with no help. How difficult was it for you to find the strength to go on with Braver Since Then? Was it also hard for you to continue composing music that was not easily accepted from the masses and also without any financial support? It was very difficult. I completely quit playing, I sold all my gear and started pursuing my childhood dream of Racing Motocross. I did that for a few years then got hurt really bad. I figured that was a sign to start playing music again. I built a studio in my house and start recording with Derek again. For many years I tried to contact Trevor and Jeff Ward again with no luck. Ron and I started talking again. I always sought his opinion and approval of my music so I sent him copies of every album I did. Once BST became a full band again with a real drummer I always asked Ron to play with us, but he said he was done. About a year ago I found a number for Trevor Helfer. We contacted him and asked if he wanted to get together with Deke and I. We told him we needed a drummer after a problem with the first BST drummer. He said he didn’t play anymore and didn’t have a drum set. I borrowed a kit and he came over. Within a few minutes we were back playing Leviathan songs we hadn’t thought about in eight years. It was amazing. We were so tight together. That is something that I had been missing for so long. Musical anonymity is easier to live with if you have a great band. You once tried to contact George Lucas, by sending him your music. Could you tell me more about this? Do you still contact Ronnie Skeen? Shall we continue to dream about a possible Leviathan reunion? You know what, Ron and I had been in contact with each other consistently over the last few years until Trevor joined back up with Derek and I. I am not sure why Ron stopped emailing me because of Trevor. I invite him to every show of ours, but he never responds. Oh well. As far as a Leviathan reunion goes. BST is working on that. After three years of lost contact with Jeff Ward we just found him. He is back in Texas again with his family. I am trying to get him to move back to Colorado and rejoin with us. He gave up music for his family. He told me that he would definitely sing on our next album though. So Leviathan fans be ready. Our next BST album will be heavier and basically the same line up as “R,Q,P,O” and Scoring the chapters. As far as my songs were concerned anyway. Like I said before. If there is any way we could come to Europe and play we will be there. I heard Jag Panzer and Titan force were playing some Festivals. If the interest and funding were there for Leviathan/BST we would go in a minute, 4/5ths of us anyway. Colorado has an important Metal heritage and I don’t know how to explain it, maybe it’s something in the air you breathe! Musicians like Harry Conklin, Corey Brown and others as well are favorites of mine. Which are your picks from the local scene? My favorite local bands from the past were Titan Force, Monkey Siren, Foolish Pride, and Dotsero. I don’t think any of those bands are still around however. We have two CD release parties this month and after that we are just going to continue to play and write material for our next album. Our main focus is to get Jeff Ward back in the band. As promised our next album will be much heavier and more technical. With Trevor in the band it pushes me to the limits again. Thanks for all of your work and encouragement over the years. I appreciate all the support and help the Progressive music fans have given us. Thank you.